Put to Light Technology is ideal for retail warehouses that deal with apparel, sporting goods, personal care items, convenience foods, groceries and general merchandises. 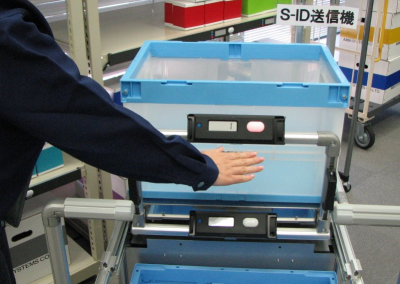 Kaihotech Digital Picking System (DPS), or commonly known as Pick-To-Light (PTL) system is an effective poka-yoke mistake proof part picking system. Combining light-directed methodology and Info-comm Technology, Digital Picking System is a flexible and yet reliable. 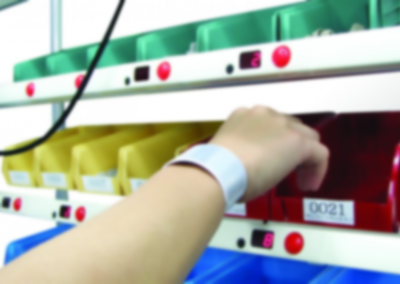 Digital Picking System (DPS) offer flexible light module hardware solutions. 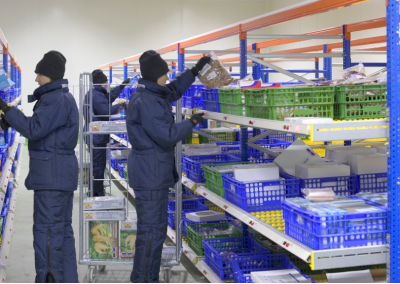 Its flexibility increases the productivity of light-directed order fulfillment to virtually all popular material storage and handling media found in distribution centers and manufacturing plants. 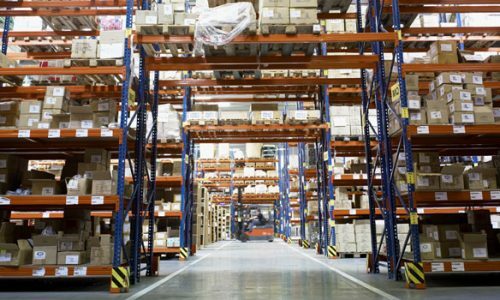 This includes static shelving, carton flow rack, batch picking carts, pallet rack, horizontal and vertical carousels, and others. Digital Picking System is also a KAIZEN approach that reduces or eliminates the use of paper in part picking operations. 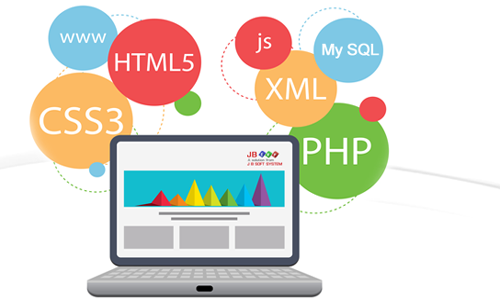 At the same time, it could integrate to upper level MES or ERP system to update important parts information directly, which eliminating manual data entry or document scanning. Digital Picking system can direct the operator to pick according to the desired sequence, type and quantity. If operator makes a mistake, alarm will be triggered and buzzer will sound to alert the operator. Part picking job can be triggered from various external sources, such as Barcode, RFID, PLC or a remote database. Multiple areas can be linked together to form an extensive system. 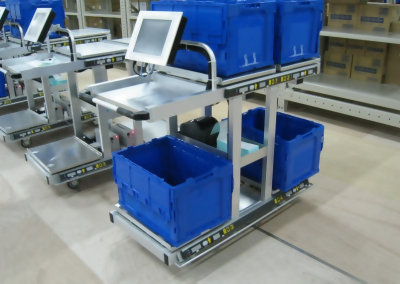 Pick-to-Light is highly configurable that it can be designed as E-Kanban system. 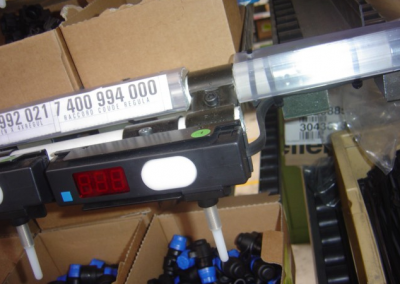 An Andon visual display such as huge LCD display can be integrated to display the status of the picking job. Kaihotech’s has been working with various strategic partners to implement Digital Picking System / Pick-To-Light System in Malaysia and other South-East Asia Countries. 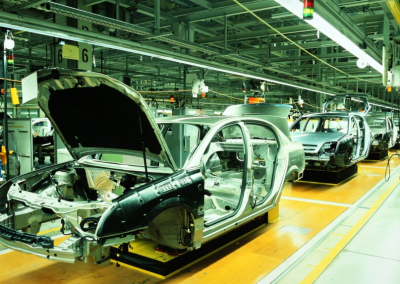 Our client ranges from automotive manufacturers, distribution centers, and 3rd party logistic companies. Digital Picking System is Fast. By lighting the exact location or locations needed, Pick-to-Light is acknowledged as the fastest operator-based picking strategy available. In the time it takes to hear and interpret a location number or read a location number from a pick list of an RF terminal screen, the pick-to-light operator is already making the pick. Digital Picking System is Accurate. By getting the operator to the right location each time the picking process is greatly simplified. Task simplification and replication produces accuracy. 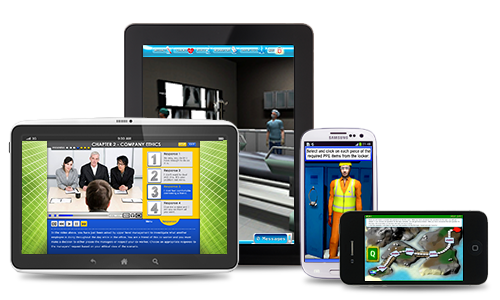 It also reduces the training time required for operators. Digital Picking System is Paperless. No more pick sheets to handle and tally marks to record. Pick-to-Light operators simply scan an order number on the carton or tote and the system does the rest. Paperless picking reduces costs, reduces errors, and streamlines operations. Digital Picking System is Simultaneous. Other computer-based solutions like RF terminals and voice terminals are sequential in nature. The equipment is only capable of showing what the computer thinks should be the next pick. In a Pick-to-Light system all locations required in an area light up at once. This allows the operator to choose the best pick path and even pick in both directions. Digital Picking System is Team-Based. Operators work in assembly line fashion. Each worker’s area is called a zone. Orders are passed from zone to zone on a conveyor, cart, or other transportation mechanism. 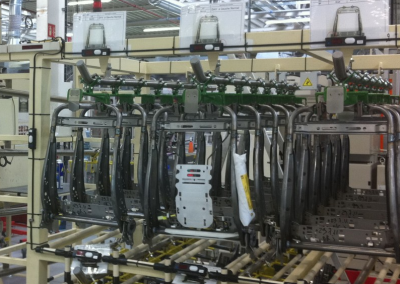 This assembly line approach further enhances productivity by reducing walking. Digital Picking System is Cost Effective. Pick-to-Light has been around for nearly twenty years. 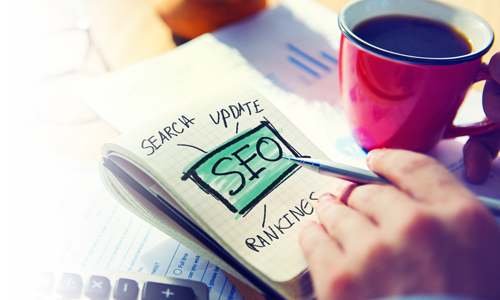 Originally, only the largest facilities with the fastest processing requirements could afford it. 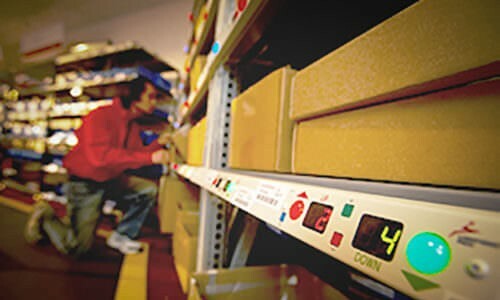 Recent advances in technology and the advent of Windows-based computer systems have brought the cost within reach of nearly all order fulfillment operations. It is vital that light-directed solutions have bright, clear, and functional lights. A variety of size profiles, light colours, and orientations are available to best meet all application requirements.